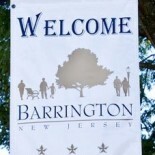 The Barrington School District Board of Education will hear a presentation from bond counsel Ron Ianoale of McManimon, Scotland & Baumann, LLC, during tonight’s scheduled meeting before voting on the final adoption of a plan to refinance a 2004 bond, according to the posted meeting agenda. 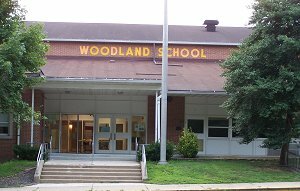 The agenda also calls for approval of several substitute teachers, including long-term substitutes, before noting four Woodland School teachers will make use of the Family Medical Leave Act for parts of the year. A presentation on the 2011-12 budget audit from auditor Robert Stewart with Inverso & Stewart. A vote on a settlement agreement with Archway Programs that will see a $28,805.85 reimbursement due to the Barrington School District. Superintendent Anthony Arcodia’s comments on the Math Connects program, preliminary 2012 annual progress target results as defined by the NJ DOE and more. Business Administrator Samuel Dutkin’s comments on the use of safety grant funds ($3,869.00). Executive session, which will include “issuance of written decisions affirming, rejecting or modifying the superintendent’s determination in” four Harassment, Intimidation and Bullying (HIB) cases. The Bulletin will provide a report on this meeting later this week. Disclaimer: The author of the Bulletin, Mark Correa, was elected to the school board on Nov. 6. I intend to continue reporting on public activities of the board leading up to and after I officially become a member in January. All reports on this site (other than the comments left by readers) are mine and do not represent the board’s views or opinions in any way. This entry was posted on November 19, 2012 by Barrington Bulletin in Schools and tagged school board.